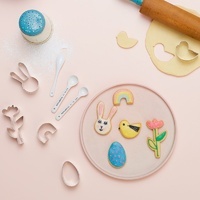 Easter Bunny Cookie Cutters | Express your creativity through baking! Express your creativity through baking! Are you ready for some cute bunny baking? These fantastic cookie cutters will make your cookies look great, as well as satisfying your taste buds! 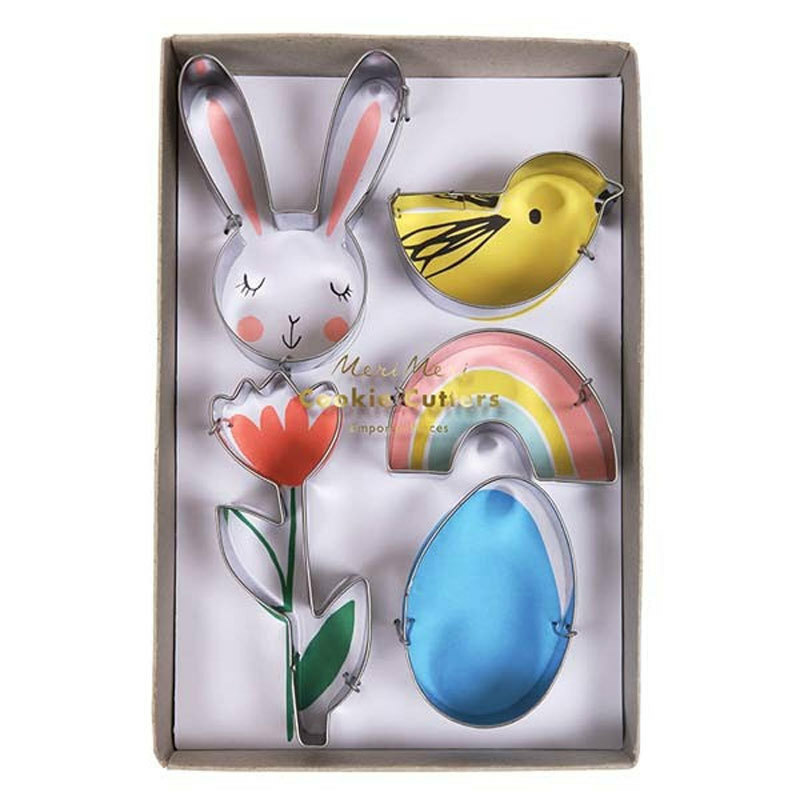 These Spring-themed stainless steel cookie cutters come in a delightful bunny, chick, rainbow, flower and egg design. Complete with presentation box, they're sure to make a great gift and be a hit at your next party. Use them to create all sorts of crafty food platters and designs! So all your little bakers out there, it's time to don an apron and have fun with these seasonal cookie cutters. Why not bake outside the box and create adorable clay ornaments or gift tags to giveaway. You can even make the healthiest of foods more appealing by cutting them into cute shapes! Pack size: 12.7cm (w) x 20.3cm (l) x 2.54cm (d).